POWER and GRACE! 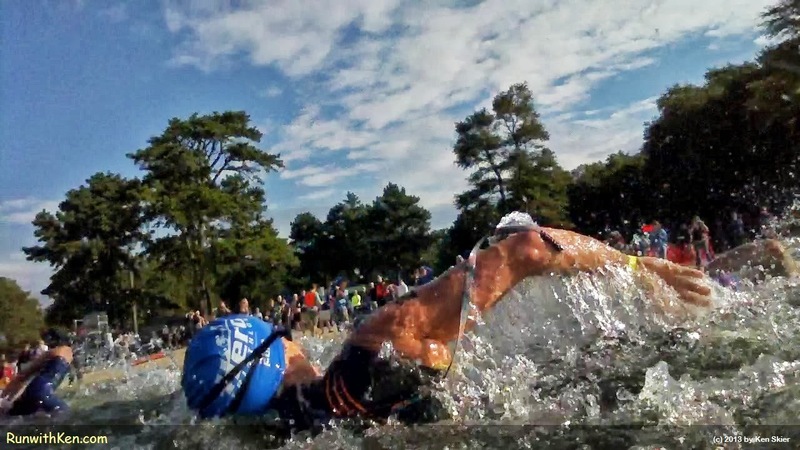 Open water swimming at the Hero Triathlon (Olympic-distance) on Cape Cod. When you swim you become PART of the earth and sky. Totally immersed in it! I took this photo as I swam in Hero Triathlon (Olympic Distance) on Cape Cod﻿. This swimmer was next to me. I didn't stop or slow my pace. We were both swimming as fast as we can!